Submitted by ken on April 20, 2007 - 8:33am. 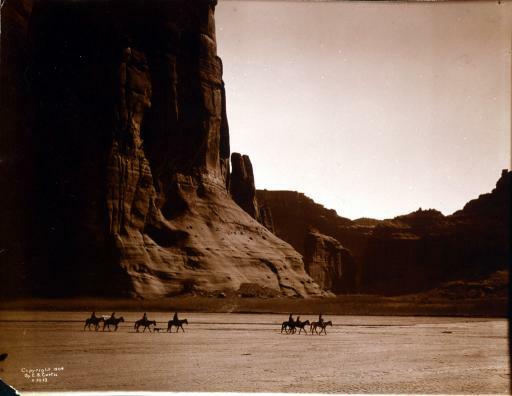 Seven Navajo riders on horseback and a dog trek in front of the Canon de Chelly cliffs in Arizona. Photograph taken c1904 by Edward S. Curtis.